When you apply for an Indiana real estate license, you must first complete a series of course hours that prepare you for working in your state of choice. The Indiana Real Estate Commission has several requirements for becoming a real estate agent and taking the courses required with it. This guide will help you learn how to handle the pre-licensing educational requirements in your state. Not only must you pass the pre-licensing course, but you must also pass any of the exams it requires. The Indiana Real Estate Commission requires that you take at least 90 hours of instruction as part of the pre-license course. You can complete the Indiana Pre-licensing course with us for just $299. Click here for the details. This course is designed to introduce you to practices and principles of real estate so that you can pursue a career in the industry. The coursework will prepare you for more than the examination; it will also instruct you how to follow Indiana State laws and regulations in real estate. Real estate education costs in Indiana will differ from school to school. You may find yourself paying up to $600 for courses with some other providers, but our 90 hour pre-licensing course is just $299. Our most popular package is for Indiana is $359 and includes our exam prep module that has over 800 real estate license exam prep questions. Additionally, classroom courses may be more expensive than online courses. The good news is that you have a variety of options to choose from, giving you freedom to select one that works best for you. Fortunately, you can take your Indiana real estate pre-licensing education course online with us. This gives you control of your schedule and allows you to continue working while you pursue a new career. In addition to more freedom, these courses may allow you to study at your own pace. Whether you choose to learn online or in a classroom, the course will prepare you to work in a real estate environment. Classroom options are available for future real estate agents who learn better in this environment. Depending on your location, you may need to travel to a bigger city in order to complete the course. Online learning is becoming increasingly popular for real estate agents for this reason. Besides, you can’t press rewind on a classroom instructor if there’s something you do not understand. In addition, we have unlimited online and phone support for all of our Indiana Real Estate students. In order to receive your real estate license in Indiana, you must pass the state exam with a score of at least 75%. The Indiana real estate examination is administered by Pearson Vue. You must reserve a spot at the examination at least three business days before the exam. Typically, the coursework and some persistent study are thought to be enough to pass the exam, but many real estate schools also offer study sessions and courses. Once you pass your courses, you are eligible to take a written examination that will allow you to become a real estate agent. Once you reach this stage, you must take 12 hours of continuing education each renewal period. In addition to your 90 hours of pre-licensing training, PDH Real Estate offers online courses to help you meet your continuing education requirements. Contact us for more information about continuing education courses that help you find your real estate niche. 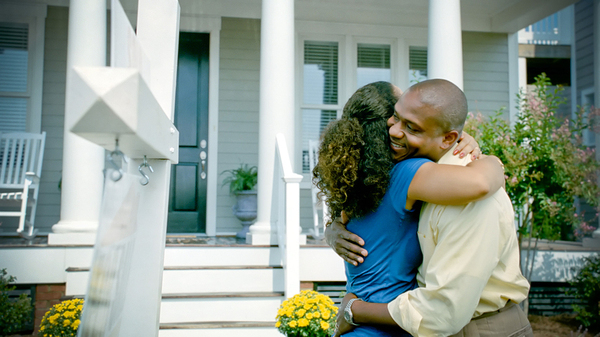 If you could pinpoint the perfect day and time to list a home, which date would you choose? According to a recent Zillow study, there is a day on the horizon that is considered the best day to put a home on the market. Could posting a home on a single Saturday in May really make the difference? According to recent research, it just might. Which Is the Perfect Month to List a Home? According to studies performed by Zillow, most of the metropolitan subjects had the best success between May 1 and May 15. Homes listed during this two-week period tended to sell nine days faster than others, and often for up to one percent more than the original asking price. May is often a great time to appeal to homebuyers because many have been searching since early spring. Months after they have started, they may have assessed their needs and become more anxious to find their dream home. This also means they are more willing to pay a premium price to settle in. If you have a seller not willing to budge on price, May is the ideal time to list. In 2016, this was true because a record low number of homes was available for sale as spring kicked in. A small inventory could indicate why homes are selling more this time of the year. This year’s inventory could be a different story, but it is important to consider your local statistics as well. Another factor to consider is that May is nearing the end of the school year. Families want to purchase new homes and get settled in before the start of the next school year. For this reason, listing homes near schools may be especially crucial during this time period. Which Day Is Best for Home Listings? Can’t wait until May to list your home? Saturday is your next best bet. Listings placed on this day receive a higher percentage of views than those occurring earlier in the week. Friday trails behind Saturday, still receiving more views than other weekdays. Saturday makes sense in terms of being the most popular day of the week for listings. After all, most people have Saturdays off and may take the weekend to shop for a home. They may browse listings in the morning and make plans to visit the homes on Sunday, as quickly as possible. This makes quick listing on the weekends essential. The listing you make today could fulfill a family’s dream tomorrow. What Other Factors Affect Real Estate Listings? Many other factors influence the success of your real estate listings, including everything from weather to holidays. Weather is a significant marker, so those living in states with little variation in weather will be more successful throughout the year. The length of daylight hours available will also impact the buyer’s desire to come take a look at a listing. One of the best ways to learn about good listing practices is to take continuing education courses. These courses will help you keep up to date with current real estate trends and practices. Contact us for more information about pursuing classes that will enhance your real estate career. It’s hard to find an industry that has yet to be affected by the surge in smartphone use in recent years. Real estate is no exception. Real estate salespeople, brokers, and companies are jumping on the train, trying to tap into that eager mobile audience. 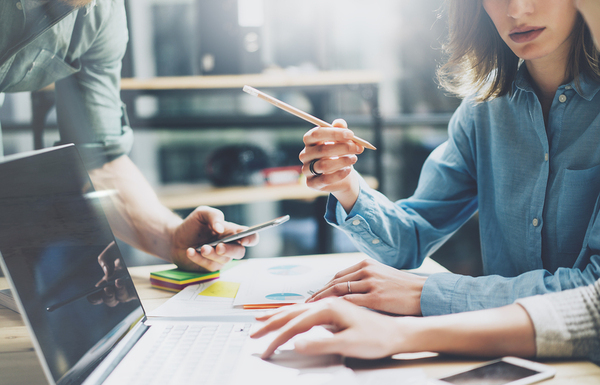 While mobile strategy is essential to running a good business, it is also important to consider if having your own app is the right way to go. Setting up an app can be expensive, but running and developing it can be even more costly. In addition to the initial fees associated with creating an app, you also need to provide security updates and releases with new iOS and Android updates. Plus, you never know when something could go wrong and you need to pay a developer to correct issues or work out some bugs. Ultimately, the cost to create a basic app could cost upwards of $25,000. With the right setup, you can use your real estate app to reach out to buyers with interactive maps and photos. This allows the buyer to visualize the property and gain a better understanding of what it has to offer. This could be the difference between a buyer choosing to come see and property or not pursuing a lead at all. Buyers may be thrilled to have easy access to information they would otherwise have to search the web for. App users can access property and location statistics, for example. You can also choose to make the search process easier. You could even allow buyers to search for homes by everything from type of flooring to size of the back yard. App development takes a tremendous amount of work and may require several different hands to manage effectively. 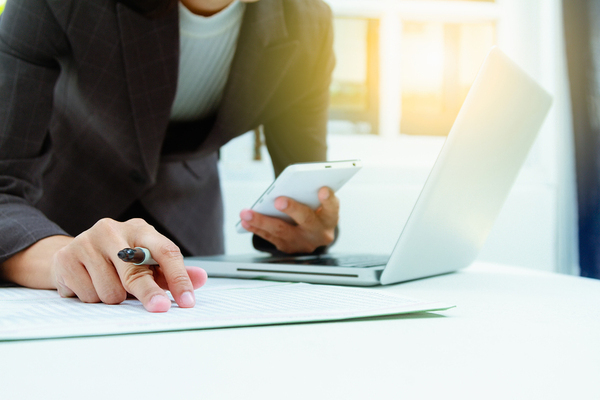 Obtaining comments and feedback is easy with the help of an app. When you need to create an easy line of communication with your clients, an app can help create this. When people have questions, they can use the app to reach out to you rather than having to make a phone call or start an email. When you don’t have enough time to manage an app, it may not be the right time to pursue its creation. If having an app means that you personally need to input additional data, the process can be grueling when you have other issues to handle. If you don’t have an intern or assistant to handle the app, you may want to wait. Nothing can replace the personal touch of communicating directly with clients and showing them houses in person. If the work you do for your app is eclipsing this, you may find yourself without the clients you need. There is so much to learn about the real estate industry, especially as technology changes. Contact us for more information about pursuing technological advancements in your real estate career. Continuing education courses can help you understand how to use technology to your advantage. Aspiring real estate agents in the state of Missouri have a series of actionable steps to follow in order to achieve their goals. Working as a real estate agent can provide a great sense of pride, as helping people purchase their first homes can be exhilarating. Additionally, selling homes is something you can do on your own schedule. If you desire freedom and the opportunity to earn the money you work for, a career in real estate could be a fantastic opportunity for you. Like any other state, Missouri has some basic requirements for becoming a real estate sales agent. In order to begin working as a real estate agent in Missouri, you must be at least 18 years old. You must have a high school diploma or the equivalent. Additionally, you also need to consent to fingerprinting and a state and federal criminal background check. You will need to pay a non-refundable fee for the fingerprinting session, which typically lasts about 10 minutes. Having a criminal background does not automatically disqualify you from working as a real estate agent, but it will flag those overseeing the application process to take a closer look. If you do have a violent crime in your past, your application could be denied. It is most important that you do not lie about your criminal history during the application process. This may disqualify you, even if the criminal history would not have. Application reviewers expect honesty from all applicants. In order to operate as a Missouri real estate agent, you must first complete 72 hours of coursework. The first course consists of 48 hours and covers real estate practice and law. These courses are taken before the real estate examination, and another set of courses will be taken after you pass the test. You must first ensure that the program you intend to take has been approved by the Missouri Real Estate Commission first. There are some exceptions in the real estate world. For instance, a currently licensed attorney will not need to take educational requirements. This is because much of the coursework is related to legal issues that most Missouri lawyers will already be familiar with. Lawyers do still have to take the real estate exam and following coursework, however. There are two parts to the Missouri real estate licensing exam, both of which are taken via computer at four different centers throughout Missouri. 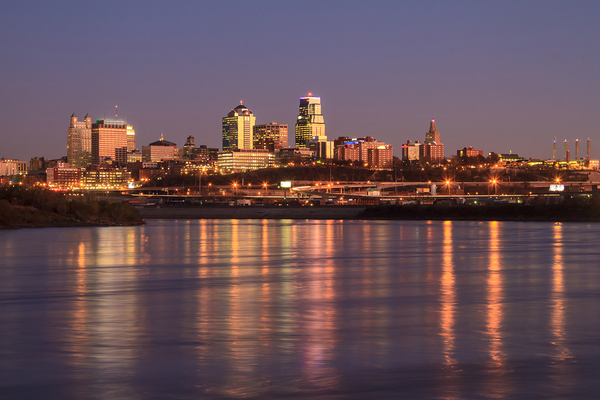 These include Kansas City, Springfield, Jefferson City, and St. Louis. You can register to take the exam with Applied Measurement Professionals via their website. To schedule your exam, you will need a social security number, name, mailing address, date of birth, school name, and type of exam you want to take. This exam is meant to cover the topics of the 48-hour coursework, ensuring that you understand how to put concepts into action. Much of the exams will cover legal practices, so it is essential to study up for the test. Next, you will take and pass 24 additional hours of coursework via a Missouri Real Estate Practice Course. This coursework will prepare you to begin putting all the principles you learned earlier on into action. You will learn how to use the information to the best of your abilities in filling out contracts, setting up ways to sell a house, and how to follow the letter of the law. After you have passed the exams and completed both sets of coursework, you can apply for your real estate license. Make sure that you do this within six months of meeting all your requirements. Your application will be approved or denied based on you meeting all these requirements. If you have a criminal conviction in your background or you have not completed the application thoroughly, there may be delays in processing. Make sure to fill out your application thoroughly, as failing to do so may lead to a delay in processing. If you have questions about how to submit an application or which information to include, make sure you get in touch with the Missouri Real Estate Commission to learn more. All newly licensed real estate agents are required to work with sponsoring real estate brokers. In order to work on your own as an agent, you must obtain a broker’s license. In the beginning, most real estate agents benefit from working alongside an experienced broker, even though they do pay fees to the broker. The broker will provide a guiding force that will help pave the way through those initial years, which can be quite difficult. It helps to find a broker that you think you will work well alongside. It is certainly worth your while to interview potential brokers before you settle on a real estate office. Missouri’s atmosphere makes it the perfect place to work as a real estate agent. In order to renew your real estate license by the end of the licensing period, you need to take continuing education courses. At the end of each course, you will be given a final exam on which you need to receive a 75% in order to pass. You can typically retake these exams without an extra fee. Additionally, the school will inform the real estate commission that you have passed the class on your behalf. All you have to do is pay your renewal fees once the coursework is complete. 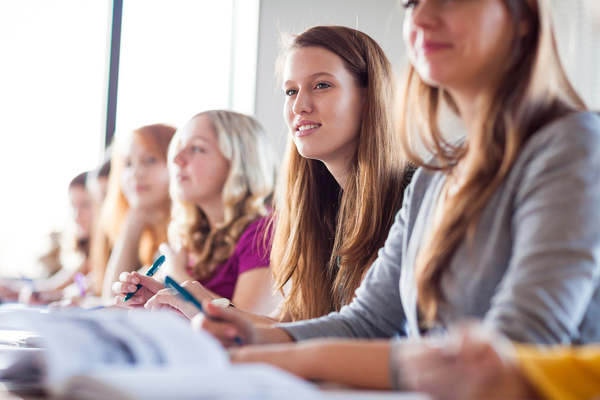 There are many different topics you can choose to study as part of your continuing education. You might opt to focus on green living or working with first-time buyers, for instance. This allows you to take control over your career. real estate courses on the web before you renew your license. No matter where you live, it is highly likely that you will come across buyers interested in purchasing homes in order to remodel and sell them quickly. In fact, more than 6% of all home sales in 2016 were linked to flipping. This guide will help you best learn how to work alongside house flippers to ensure that they want to work with you again and again. After all, flippers are people who could be using your real estate services on more than one occasion. 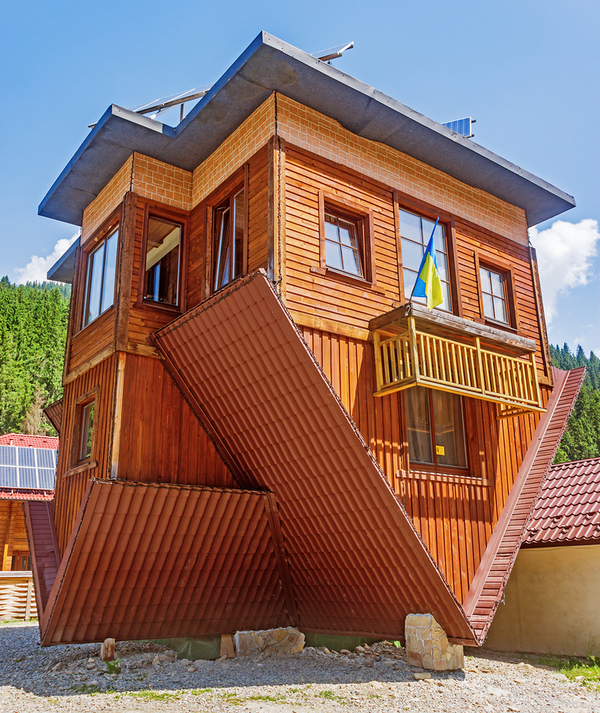 Learning to embrace the art of flipping houses could very well lead to a new niche for you. There are many tips for buyers who want to flip houses, but real estate agents need to understand the business too. Much of the knowledge you have earned working with other investors can be put to use while working with flippers as well. Flipping homes is an investment after all, it is just on a more short-term basis than you might be used to. Flippers want to know where to buy, and you are the key to showing them which neighborhoods are “flippable.” Which schools are up and coming in the area? Are new businesses coming to town? In which areas should residents expect a resurgence in price in the near future? Understanding how home values work will help you pinpoint the ideal homes for those looking to flip homes. Considering that many house flippers are from out of the area, you may become an important resource. Whereas most buyers might be intrigued by a new dishwasher and fantastic new countertops, flippers simply aren’t impressed. House flippers want to know about the cost of remodeling a kitchen or landscaping the front yard. House flippers want to know how easy it would be to reconstruct a house that somebody else has been dreaming of owning. It is not enough to build connections with buyers and sellers. You also need to connect with contractors and landscapers you trust. As you build these connections, your buyers who intend to flip houses will rely on you as a resource. The accurate information you provide can benefit your community reputation and possibly even earn you additional clients in the future. Not that kind of flipping houses! One of the best things you can do for your clients and for your own practice is to become educated about the issues that your buyers and sellers care about. You need to take continuing education courses in order to renew your real estate sales license anyway, so why not choose courses that will also help you focus on house flipping as a niche? PDH Real Estate can help you take courses in everything from eco-friendly housing to learning about pricing strategies. Contact us for more information about taking your continuing education courses online. Washington is a state with many opportunities. Opportunities in the field of real estate are no exception. In fact, Washington offers just a few simple steps one must achieve in order to begin working in the field of real estate. This guide will walk you through the process of becoming a successful real estate agent in Washington, allowing you to set your own hours and be your own boss. Several basic requirements exist for Washington residents who wish to become real estate agents. To start, you must be at least 18 years old in order to obtain a license. Additionally, license applicants must also hold a high school diploma or the equivalent. You must also have your fingerprints taken for a criminal background check. The department of licensing uses an electronic fingerprinting vendor called MorphoTrust, and you must schedule your fingerprinting appointment online at the Identogo website. You are required to pay for your background check. In Washington, you are required to undergo a statewide and national criminal check. Certain criminal histories will not automatically exclude you from working as a real estate agent, but some types of crimes can. It is important to be honest about your criminal history when filling out the application and other forms, as lying may be the reason your license is not approved. Ultimately, each situation is considered on a case-by-case basis. Additionally, it is worthwhile to note that Washington differs from many other states in the way it issues licenses in the real estate industry. Other states often issue two types of licenses — one for real estate salespersons and one for real estate brokers. In Washington, real estate agents receive a real estate broker license. Before applying for a real estate license, you must first take and pass courses in Real Estate Fundamentals and Real Estate Practices. These courses may take up to two years to complete and are often completed via correspondence or online for a total of 90 hours of work. Of these hours, 60 must be in Real Estate Fundamentals and 30 must be in Real Estate Practices. At the end of the courses, you will be expected to take final exams. You must pass these examinations with at least 75 percent in order to move forward in the process. These courses are intended to teach new real estate agents how to operate on a fundamental level within the career field. In these classes, you will learn how to create and read real estate practices, follow the law, and work with both buyers and sellers. You will learn how to create listings for homes and how to work with other real estate agents and brokers. When you come to the exam, make sure to bring two forms of identification. One ID must have your photo on it. You are not allowed to bring any reference materials, and it takes about three and a half hours to complete the test. You will find 140 questions on the Washington real estate license exam. Most questions are related to national real estate, but many are also Washington-specific. Questions are multiple choice. The exam is scored immediately, so you will leave knowing whether or not you passed. If you did not pass, you will have the opportunity to re-take the exam in the future for another try. In order to prepare to become a real estate agent, it is important to study for the real estate exam. The exam can seem long and grueling, so study guides may be a wise investment. Course hours are also a helpful stepping stone in the process. Next, it is time to complete the real estate license application form. Submit the license with a check or money order payable to the Department of Licensing, which is located in Seattle. You will be asked to submit proof of your coursework and fingerprints as well. Make sure to fill out the application thoroughly and accurately to prevent delays in processing. Real estate education will help you sell homes from the forests of the Olympic Peninsula to the hills and valleys inland. Many states require new real estate agents to work alongside real estate firms and other brokers. While this is not the case in Washington, it is still advisable in the formative and early years of your career. Working with experienced real estate agents will help you build a career with an agency who has years of experience in this field. In return for learning the ropes of real estate, you will be expected to provide the agency with a portion of your commission. Once you receive your license, you have two years until it expires. You are eligible to renew your license in the last 120 days before it expires. During your period of licensure, you are required to take continuing education courses in topics like real estate law and ethics. Courses will include topics like current issues in real estate, green housing, real estate law, fair housing, and real estate ethics. The point of these courses is to encourage you to stay up to date with current trends in real estate. Fortunately, there are many options for taking continuing education courses. You can buy courses in bundles or take just a few courses at a time before it is time to renew your license. Contact us for more information about Washington real estate continuing education courses. Whether you already work as a real estate agent or it is still a dream in the distant future, practicing a few daily habits will help you strengthen your skills. Working these daily habits into your routine will help you in your journey, enhancing your social and professional lives. You have to set goals in order to achieve them. Start by writing down your goals and breaking them down into smaller actions you can take each day to achieve them. For instance, if you are trying to become a real estate agent, you would list the individual steps you need to take. This makes achieving your goals much less daunting. Stop multi-tasking on your phone and get to work! Delete game apps if they become time suckers and focus your extra time on the job on getting (and staying organized). You can even install a program on your web browser to prevent social media websites from being accessible during work hours. Your morning ritual should include as much positivity as possible, especially if you are not a morning person. You can incorporate positivity by repeating affirmations and replacing one of your daily cups of coffee with water. The morning is also a good time to work out, whether you jog or do yoga. You charge an hourly rate for clients, so why wouldn’t you treat your own time like it is worth the same amount? Before you embark on a task, do some research to determine that it is actually a worthwhile endeavor. If you find yourself spending a lot of time on tasks that aren’t worth your while, it may be time to hire an assistant or find ways to automate them. One of the best ways to invest in your business is to keep up with trends, and that applies to technology too. It is no longer acceptable for a businessperson to rely on a flip phone, for example. Internet access, even on the go, is becoming essential to working in real estate. Good habits, whether they involve studying or avoiding distractions, are essential to having the career of your dreams. You can practice your skills by continuing to learn. Studying is not only a good habit for a real estate agent to have; it’s actually a requirement. All real estate agents are required to take continuing education courses in order to renew their licenses. When you are looking for continuing education courses to keep you up to date with real estate knowledge, PDH Real Estate can help. Contact us for more information about how continuing education courses will help you stay up to date in the world of real estate.